BONNER, Mont., U.S. — Planetary Design, LLC, is introducing the new, larger Airscape Kilo to their Airscape brand of innovative, airless coffee and food storage canisters. 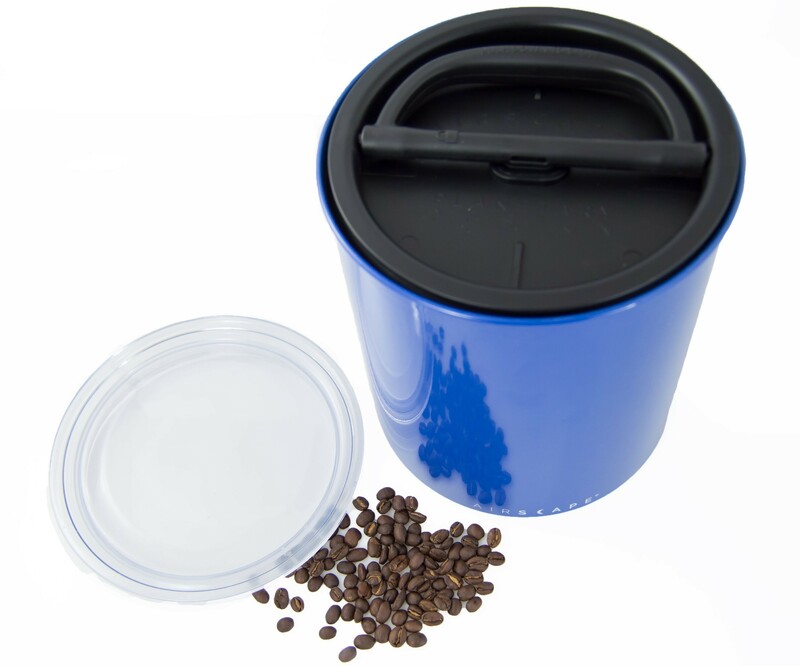 Airscape containers feature a patented inner lid that preserves the freshness and flavor of whole bean and ground coffee, or other perishable foods, for far longer than other “airtight” storage containers do. The new Airscape Kilo has the classic design of the original stainless steel canister but holds more coffee. “Our new Airscape Kilo has the same elegantly simple look and patented inner lid that locks out freshness-destroying air as the original stainless steel canister but holds more coffee beans for connoisseurs who buy in larger quantities,” said Jess J. Nepstad, CEO of Planetary Design. Made of durable, food-safe painted galvanized steel, the new Airscape Kilo features a BPA-free, clear top lid and BPA-free, patented inner lid. The canister is available in Cobalt, Obsidian and Snowflake colors. Standing 8 inches tall, it can hold a full kilogram of whole bean coffee. It can also hold approximately 5 pounds of flour or brown sugar, 2.5 pounds of granola, 3 pounds of oats or 7.5 pounds of popcorn kernels. It retails for $31. For coffee roasters and shops, the Airscape Kilo can be ordered in wholesale quantities and pad- or screen-printed with brand-building logos. While most “airtight” food storage canisters trap air in with the contents, the patented inner lid of the Airscape forces air out through two valves as it is pressed down, then locks in place. This makes the Airscape canister the ideal storage solution to preserve the freshness and flavor of whole bean and ground coffee, and other perishable foods such as baking ingredients, nuts and seeds, loose tea and dried herbs, cereal and more. For more information about Planetary Design’s new Airscape Kilo coffee storage canister, other models in the Airscape line and the company’s French press coffee makers and drinkware, visit https://planetarydesign.com/. Planetary Design, LLC, is a Montana-based innovator in the design of coffee and tea brewing vessels, drinkware and food storage containers. Their brands include BrüTrek™, a line of double-wall insulated, stainless steel drinkware and French press coffee makers with Brü-Stop™ technology to avoid the bitter taste of over-brewing, and Airscape®, a line of coffee, tea and food storage containers with a patented inner lid that preserves freshness and flavor. Planetary Design’s high-quality products are known for both functionality and durability, perfect for any adventurous coffee or tea lover. Find out more at https://planetarydesign.com/.